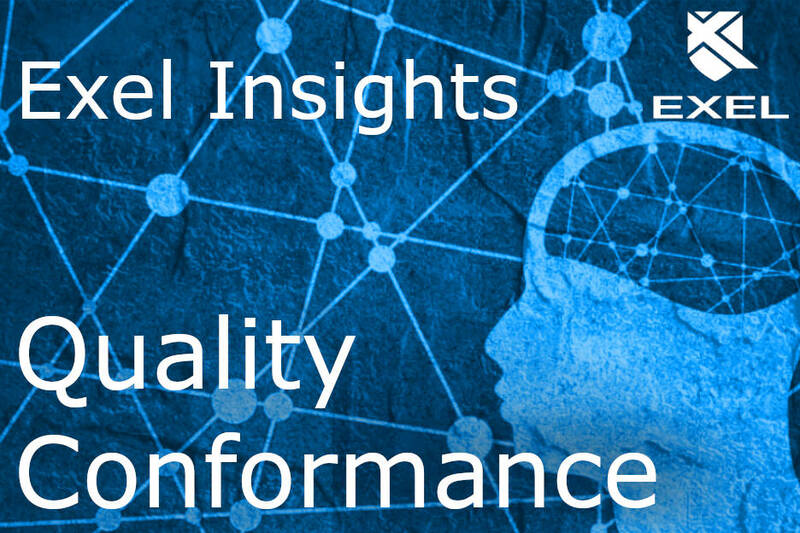 In this 'Exel Insight', we discuss how EFACS' Quality Conformance module can help save money, time and materials. The reason being? The very nature of the casting process, which can be affected by variability in the quality of raw materials and even ambient environmental factors, such as temperature and moisture. It is for these reasons that casting manufacturers factor in ‘overruns’ – setting out to produce more than required in order to ensure you can deliver the required number. If too many fail to cast as specified, then the order is short and you have to produce the remainder; if your overrun is too high, you’ll be creating additional finished stock which takes up physical storage space and may end up redundant. Minimising scrap and rework rates could make the difference between realising a profit or a loss on a job. But how do you manage quality conformance with the greatest accuracy? The EFACS E/8 Quality Conformance module can collate data via the Shop Floor Data Collection (SFDC) module – this data will show, not just what was scrapped, but also where, when, from which batch, by whom, etc. – this means you are able to identify trends and then target the biggest problem areas in order to generate the largest cost and time savings. The Quality Conformance module links directly with the Supplier, Works Orders, Stock, Customers, Workflow and Traceability functionality. The inherent integration within EFACS E/8 allows a defined set of quality processes which ensures control is maintained within the business, and that the entire life cycle of a quality concern is managed correctly. The comprehensive Workflow module is an essential element of the Quality Conformance process, you are able to insert process checks and approval stages into all activities and corrective actions, you can automate emails sent either internally or externally to suppliers or customers, for information and tasking purposes. All communications are stored in one central place and are easily accessed. All the above enables your production department to run efficiently and effectively, you can ensure your suppliers are providing value for money whilst providing an improved customer experience. Relevant reports embedded in the Menu Dashboard provide full visibility to all who require it – the true benefits of the fully integrated nature of EFACS E/8 are realised within the Quality Conformance functionality.